Valuable fringe bushland of the Central Blue Mountains (BM) is steadily disappearing as a consequence of Blue Mountains (city) Council-approved housing development integrated with the associated hazard reduction burning that it invites. Blue Mountains Council has become culturally conditioned to automatically squirm and acquiesce when any threat of a State Environmental Court appeal process that may be instigated to dare challenge Blue Mountains Council, despite a fair and rigorous environmental assessment and ruling. Local political pressure is such that now Blue Mountains Council staff are encouraged to give up and bend over, as if so urbane as to be beholden to developer intimidation. Yet for years such has become Blue Mountains Council’s urbane squeamish mindset, as if the staff and management came from overdeveloped Western Sydney (which most of them they have). 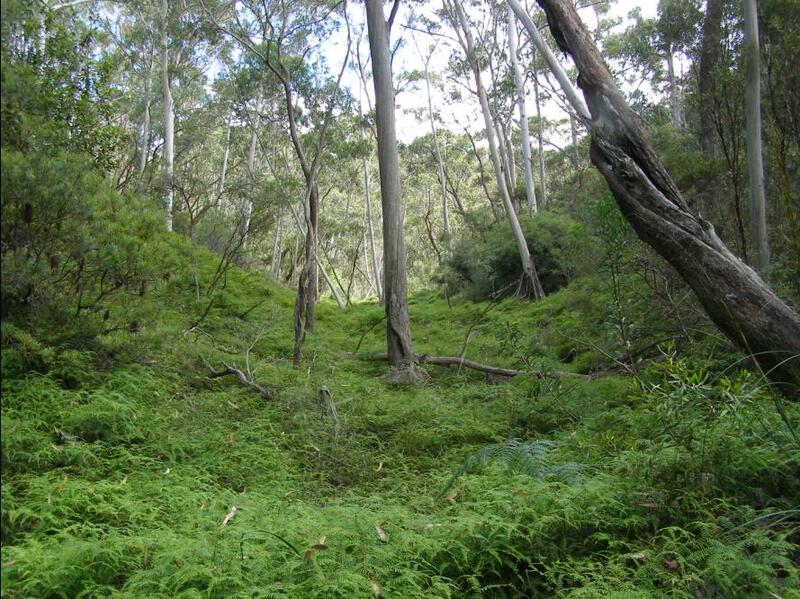 There are morally corrupt politics controlling land use development in the Blue Mountains ~ many are receiving a cut of perceived cheap, yet increasingly scarce, bushland habitat. New South Wales, eastern Australia. 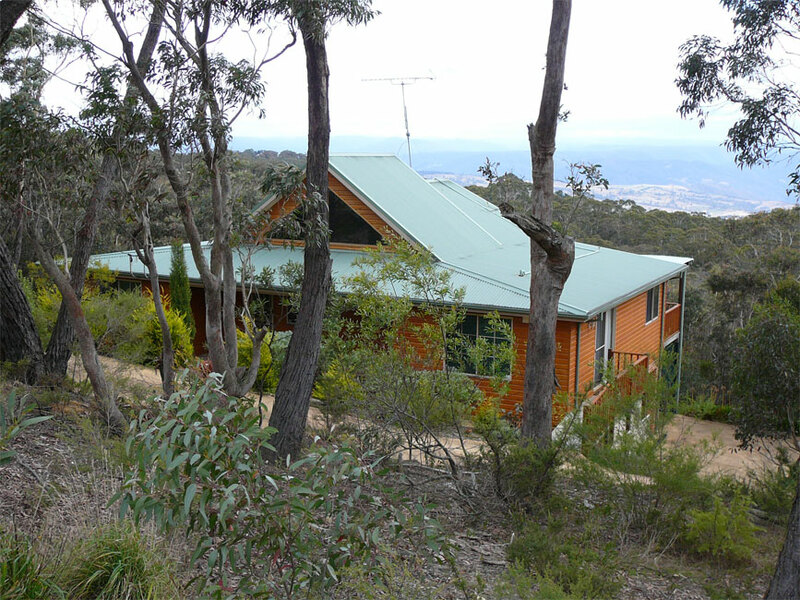 Not so long ago, Blue Mountains Council approved this cypress pine cottage be built in/abutting thick timbered bushland on a west facing slope downwind of the prevaling westerly winds. 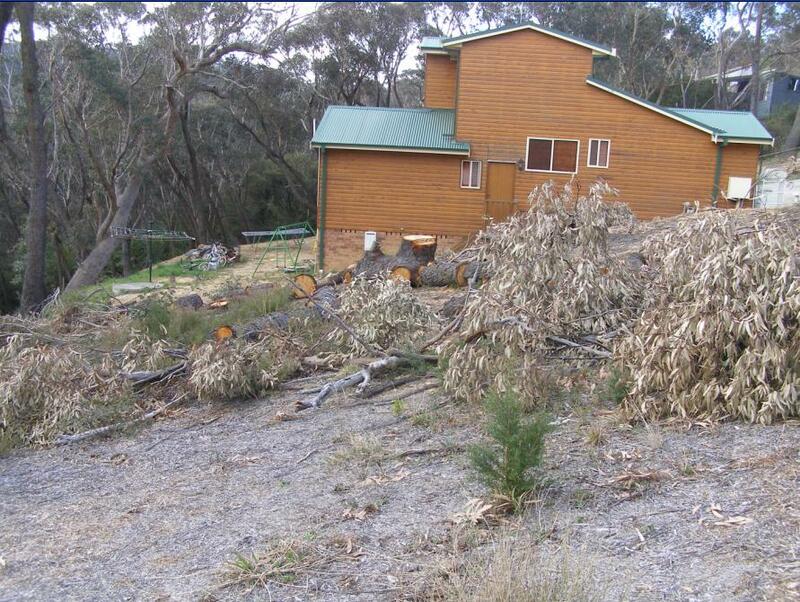 Bushfire risk mapping rated the site as ‘extreme’ bushfire risk, yet the cypress pine cottage got built. The builder/developer has long since profited and so moved on, leaving behind a bushfire vulnerable cottage on a site that should never have been built on in the first place. But try telling a pro-development council that a property owner can’t develop his/her land! 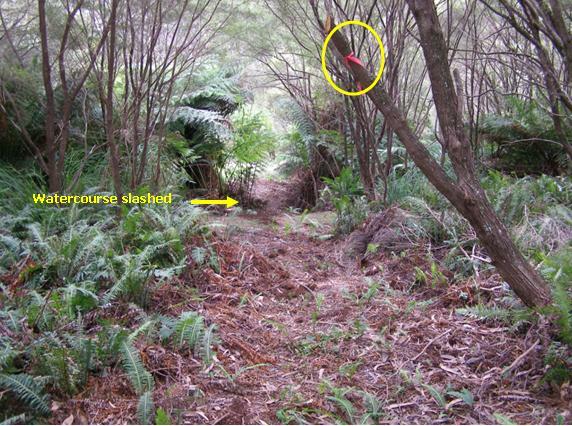 The site was purchased in/abutting dense wooded bushland, which was slashed and bulldozed. Down from the house, around a dozen mature native trees were chainsawed to provide for escarpment views to the west. The property has since been sold. 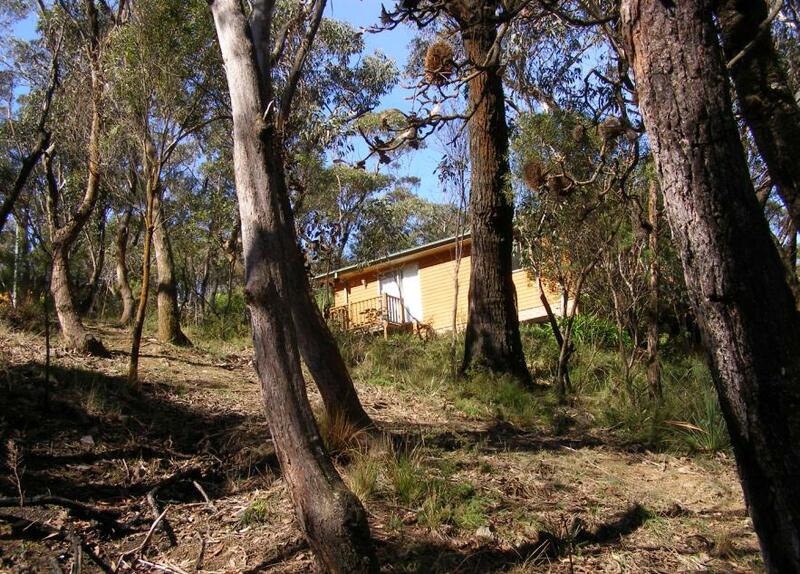 Yet, the issue of a cypress clad cottage being approved in extreme fire risk bushland was raised with Blue Mountains Council’s senior development officer, Lee Morgan, on 25-Feb-2009 (Council ref. Customer Service Request #106889). But there was no response. 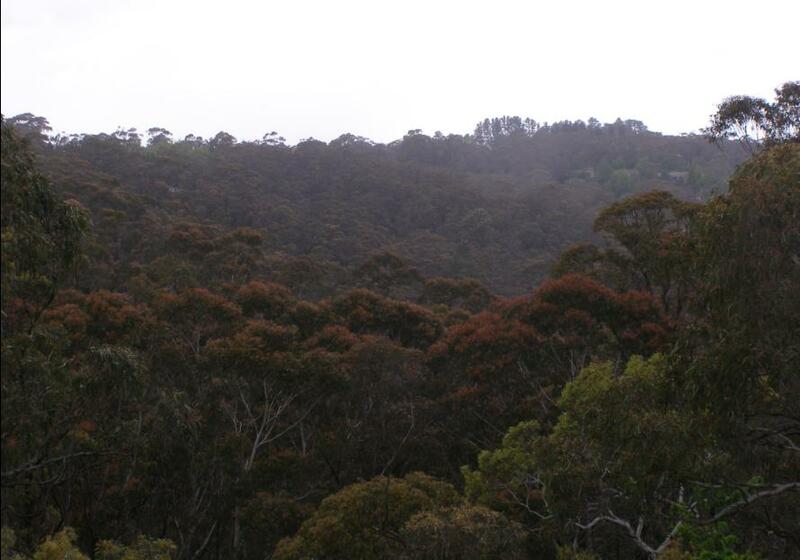 …less the dozen chainsawed Eucalypts to make way for the views. 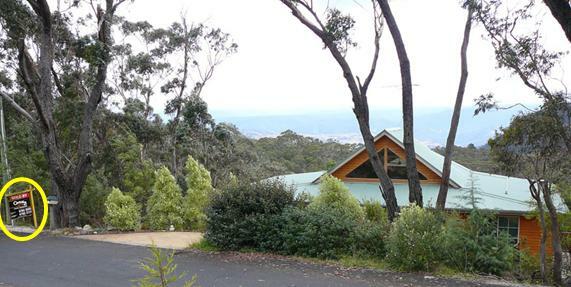 It is typical of Blue Mountains Council’s planning approvals that they encourage development encroachment on the fringe bushland which separates the Blue Mountains National Park from the townships of the Central Blue Mountains. has surrounding trees chainsawed and the vegetation slashed to bare earth. 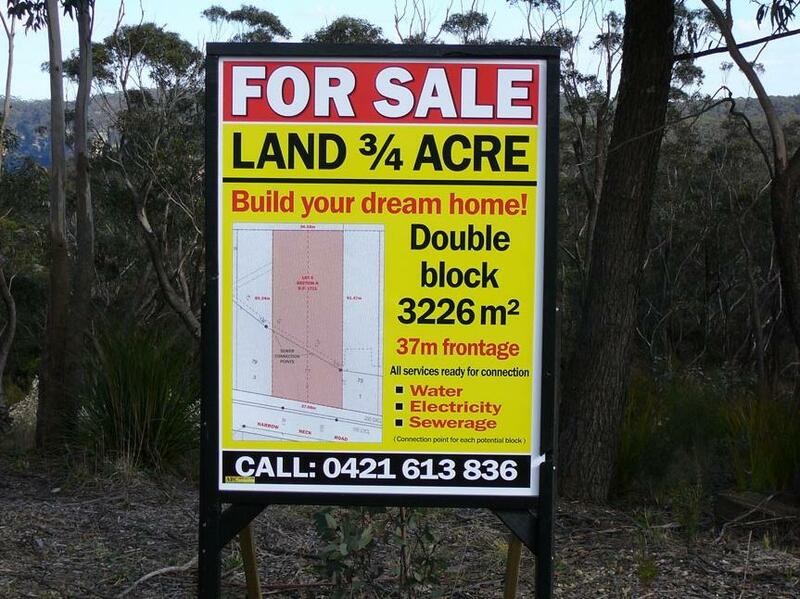 Housing development encroachment is being wedged deeper into fringe bushland, closer to the Blue Mountains National Park, many seeking the profit that escarpment views bring. The sites are indefensible against bushfire. 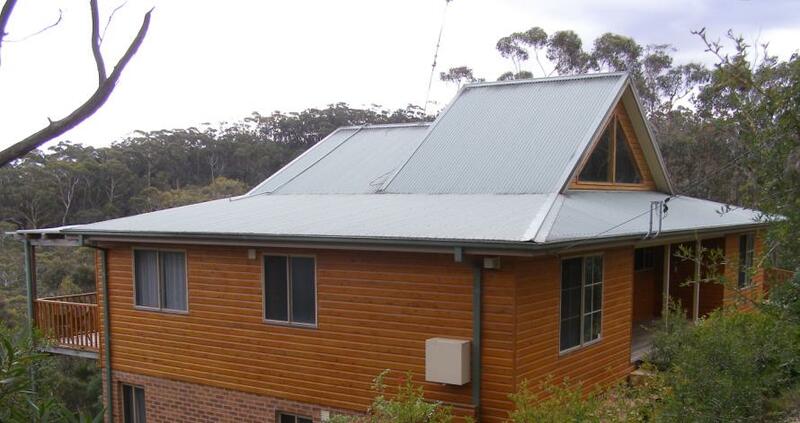 Many are zoned extreme bushfire risk, yet these bush houses received Council building approval. 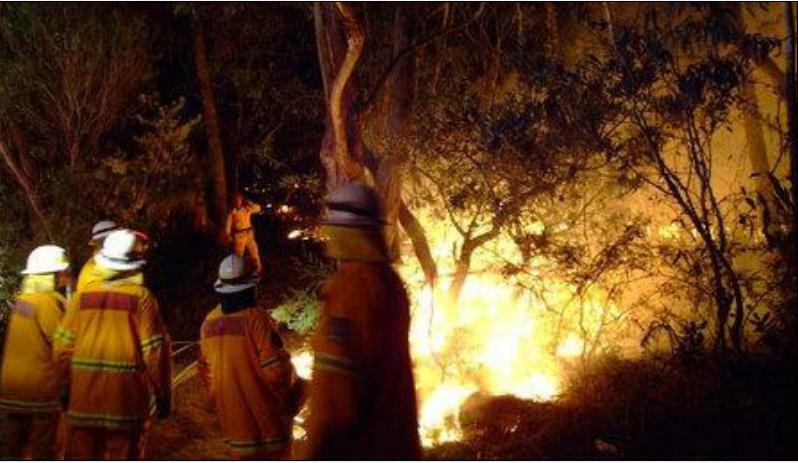 The Rural Fire Service (RFS) calls for hazard reduction because, with just its truck resources, it would not have access to defend these houses in the event of a serious bushfire. Co-incidentally, the property owners (developers) now cry for RFS hazard reduction to protect their ‘assets’ from the risk of bushfire. Co-incidentally, many property owners (developers) in the vicinity who have these new bush houses do the same. Of course, to the fire-lighting cult, this is music to their ears and so the Rural Fire Service in cohorts with Blue Mountains Council rustled up a hazard reduction certificate. 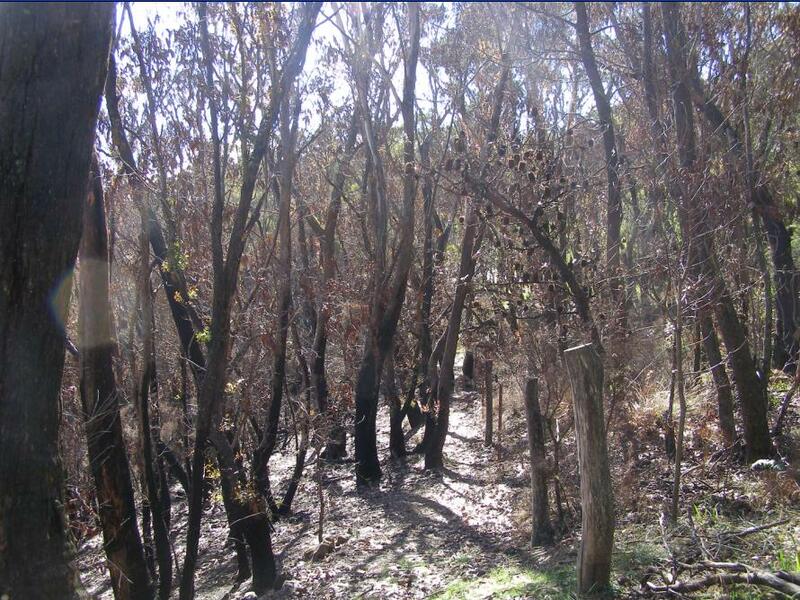 In September 2008, Blue Mountains Council’s Bushfire Technical Officer, Peter Belshaw, issued a Hazard Reduction Certificate for over 11 hectares of bushland and escarpment heath across Bonnie Doon Reserve to be burnt under a ‘hazard’ reduction programme. Click on image below for details. Earlier that year in mid February (2008), some seven months prior, slashing of heathland and a watercourse had been carried out by a Rural Fire Service contractor in preparation for the hazard reduction burning ~ the fire-lighters just couldn’t wait. 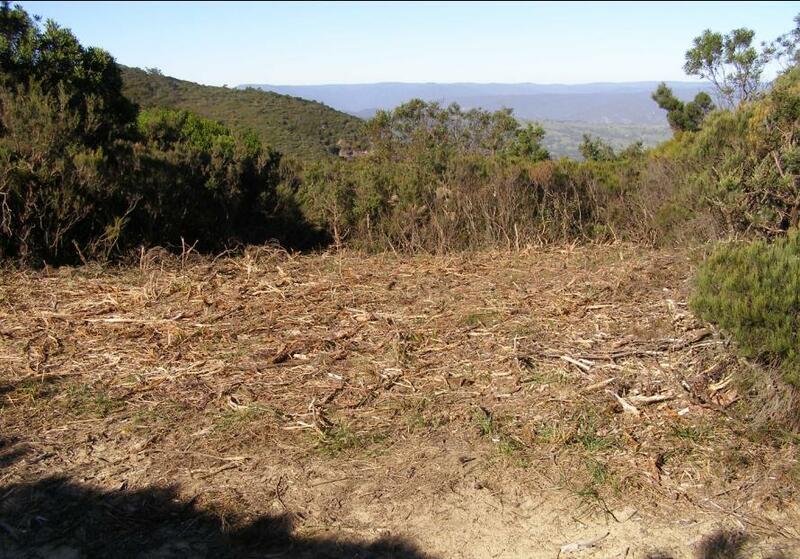 Blue Mountains escarpment is slashed by the RFS, a kilometre west of the cottage site. even before the Hazard Reduction Certificate was issued. Three years hence, mid afternoon on Friday 11th February 2011, smoke can be smelt and seen rising to the west on the horizon near Bonnie Doon Reserve. A call to emergency ‘000’ confirms that it is not a bushfire, but that official hazard reduction operations are underway. It is still well within the bushfire risk season. Bonnie Doon Reserve is a natural wild area of about 22 hectares that includes a mix of bushland, heathland and upland swamp situated on the Blue Mountains escarpment at the western fringe of the township of Katoomba. It lies above Bonnie Doon Falls. The area is zoned ‘community land’ and ‘environmental protection’ and comes under the control and custodianship of the Blue Mountains Council. 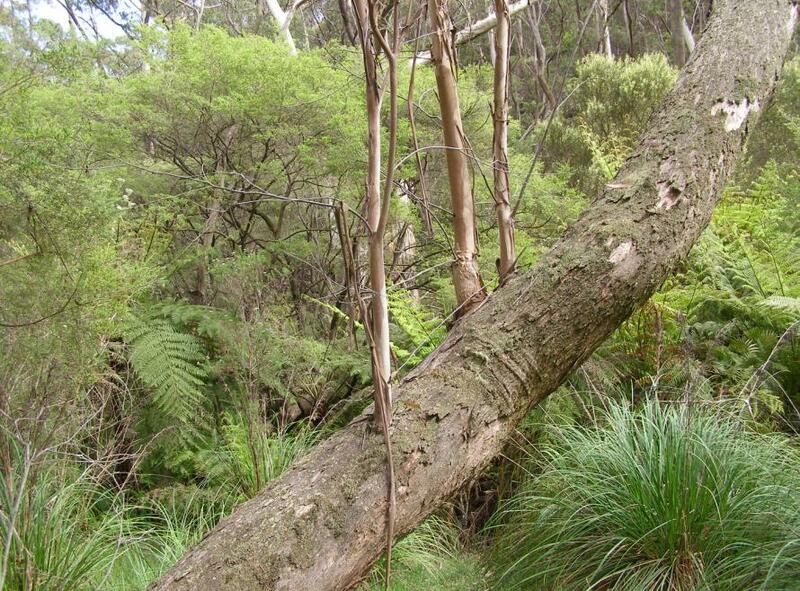 Bonnie Doon Reserve has a history of volunteer bushcare to conserve the still wild Blue Mountains escarpment habitat. The reserve is immediately upstream of the endangered Dwarf Mountain Pine (Microstrobos fitzgeraldii) and Leionema lachnaeoides (yellow flowering shrub) found almost nowhere else on the planet. The habitat conservation of both species, particularly the exclusion of fire are considered critical to their survival as a species. 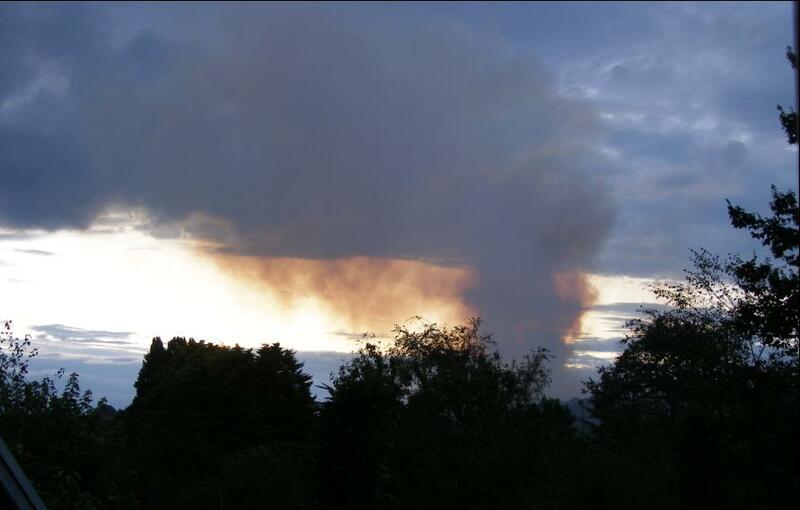 From a distance of about two kilometres, I can see the smoke billowing strongly and its lasts for over two hours. The direction of the smoke places it around Bonnie Doon Reserve. The strength and density of the smoke indicates that it is more than light burning of ground cover. It is an intense but localised fire. We have our suspicions, but with other commitments we can’t get around there for some time to investigate the location affected to determine the scale and severity of the burning. In fact it isn’t until nearly three months later on Sunday 1st May 2011, that we inspect the burnt site. The fire was localised. Three months on, evidence of more than just ground-cover has been burnt. The fire was so intense that the flames reached into the tree canopy. It must have been a blaze and half for RFS fire-lighters. The fire was indeed localised. 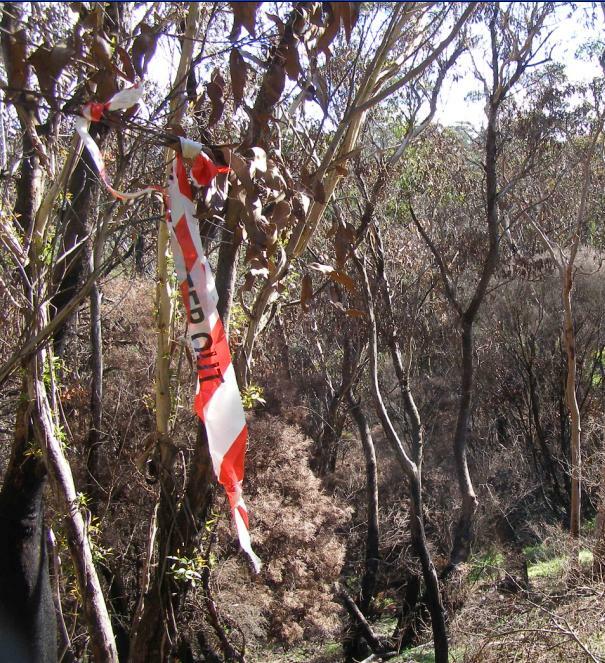 It is very clear, still three months on, that this ‘hazard’ reduction burn had specifically targeted the native bushland surrounding the cypress cottage – an area of perhaps two hectares. So not only has the developer of the cottage site completely destroyed the bushland on the site, but he has succeeded in having an additional two hectares burnt in the process all associated with the one cottage. 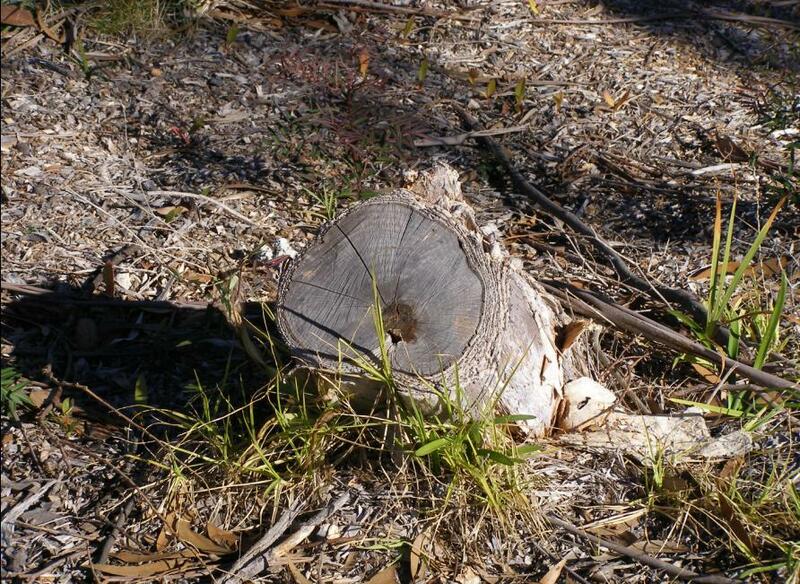 Council’s initial approval of the cottage construction has directly led to the destruction of two hectares of what began as intact native bushland. The developer has profited from the bush, but in the process the ecological cost has been ignored ~ it is a perpetuation of a 19th and 20th Century single bottom line exploitation of the natural environment. It is happening across the Blue Mountains and being encouraged by Blue Mountains Council rules, practices and attitudes. The ‘hazard’ reduction certificate process has become an insidious part of the development process across the Blue Mountains. The catalyst that is Council’s lax bushland protection zoning, is facilitating fringe deforestation. 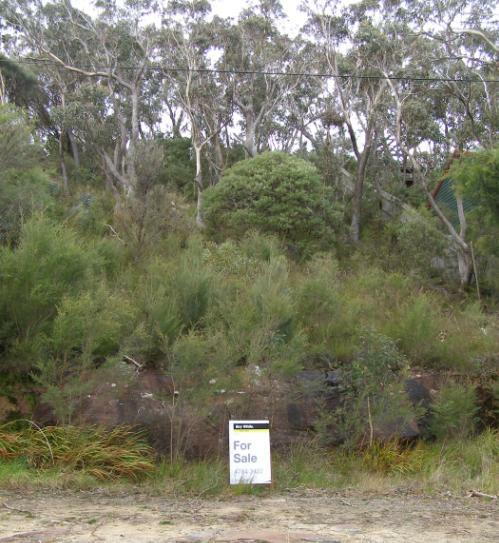 The combination of Council’s housing approvals on bush blocks with its ‘hazard’ reduction approvals have become a self-perpetuating twin mechanism for incremental encroachment into Blue Mountains fringe bushland, and it shows no sign of stopping. Hazard reduction has become a cosy win-win-win-win outcome for all collaborators: (1) the builder/developer who profits, (2) the real-estate agent who get the sales commission (first when the bush block is sold, then again when the house is sold with views), (3) Council which earns developer charges in the short term and an expanded rate revenue base over the long-term, and (4) the RFS fire lighters who have become more adept and occupied lighting bushfires than putting them out. 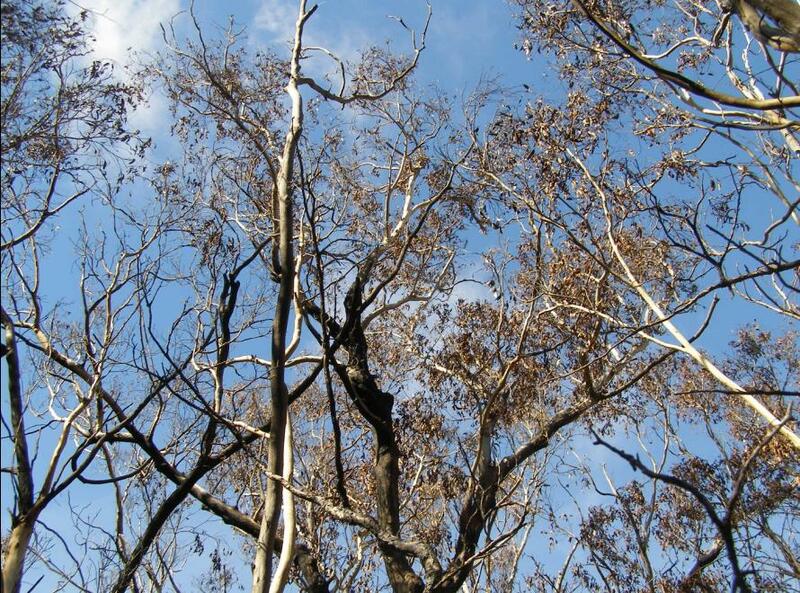 ~ a ‘lose-lose’ outcome for native habitat and the remnant disappearing wildlife is supports. 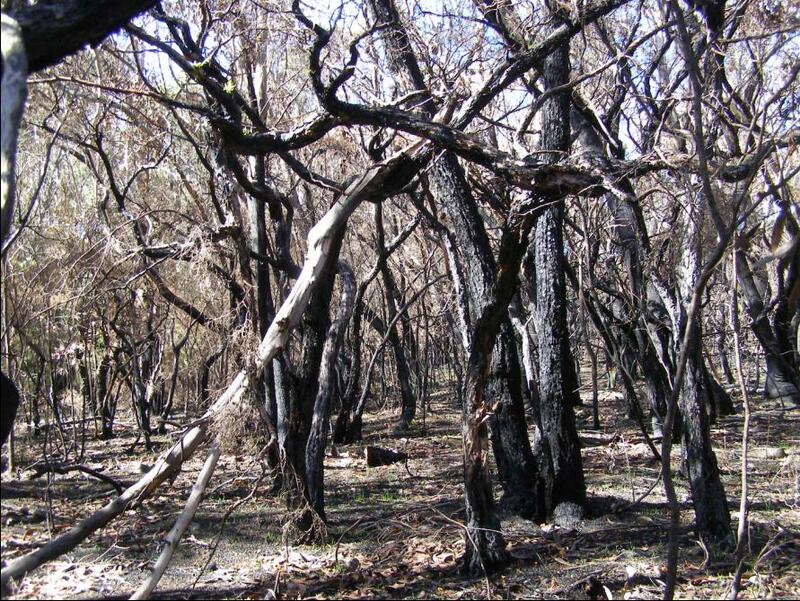 Of the eleven odd hectares of the 22 ha Bonnie Doon Reserve targeted by the RFS for slashing and burning on the hazard reduction certificate, nine hectares of bushland and escarpment heathland still stands to be burnt, which could happen anytime. This entry was posted on Saturday, May 28th, 2011	and is filed under Blue Mountains (AU), Threats from Bushfire, Threats from Deforestation, Threats from Development.